Get Ready for Christmas Around the World! Thanksgiving Math and Literacy Centers! 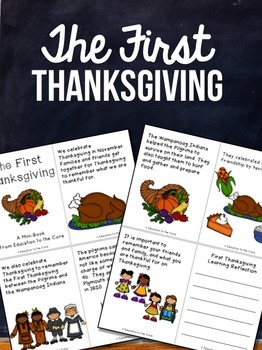 If you love teaching about The First Thanksgiving, and you want your kids to learn a few facts along the way, this mini-book is just the product for you! 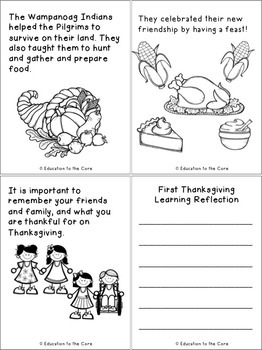 This reader includes basic information about The First Thanksgiving and why we celebrate Thanksgiving. There is a reflection page at the end where the student can write about his or her reflection on learning.